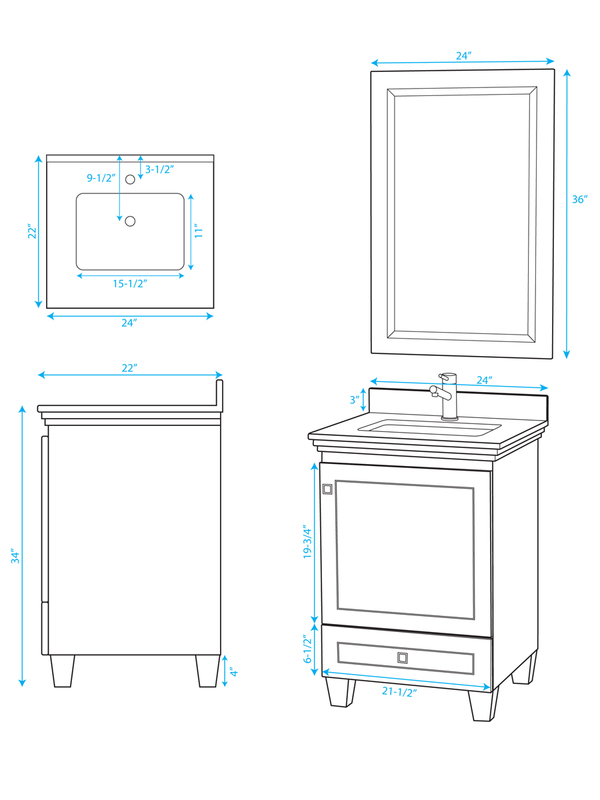 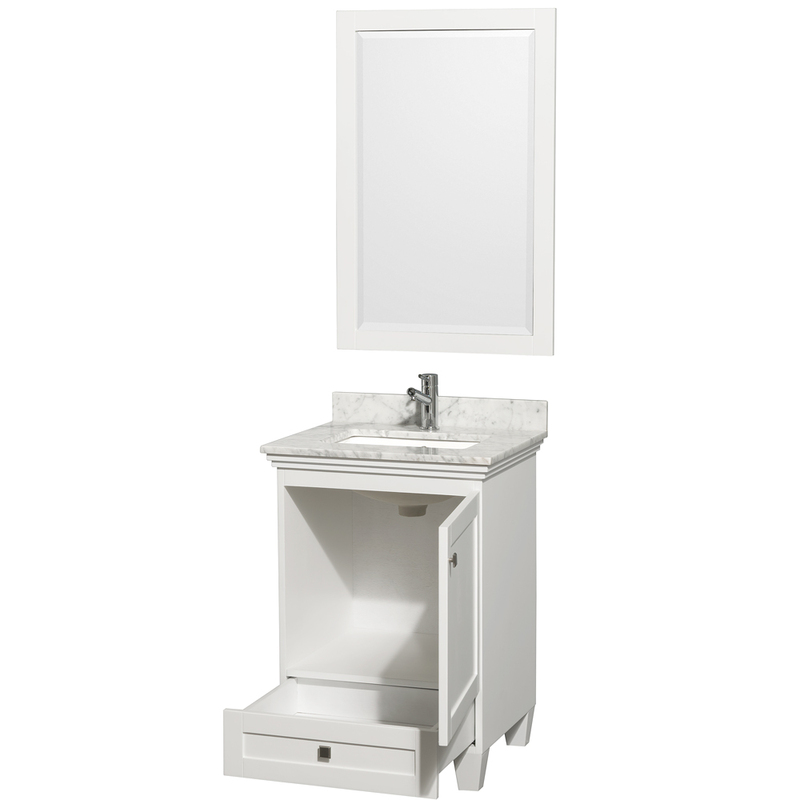 For a simple look that's versatile in every style of bathroom, the 24" Acclaim Single Vanity makes a spectacular choice. 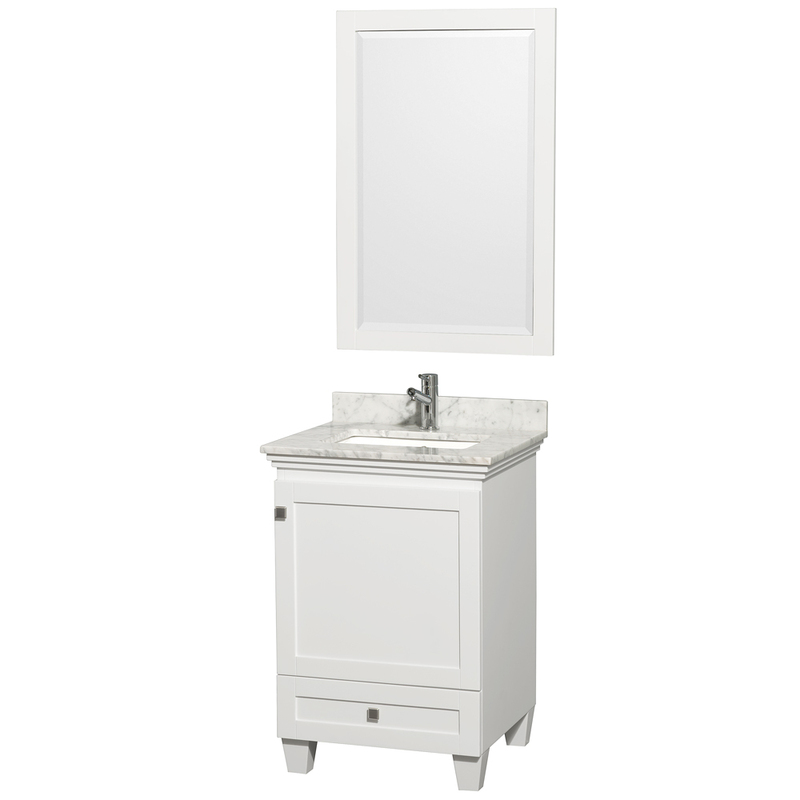 Featuring a solid oak cabinet, this vanity has a gorgeous White finish that's been accented with Brushed Chrome hardware. 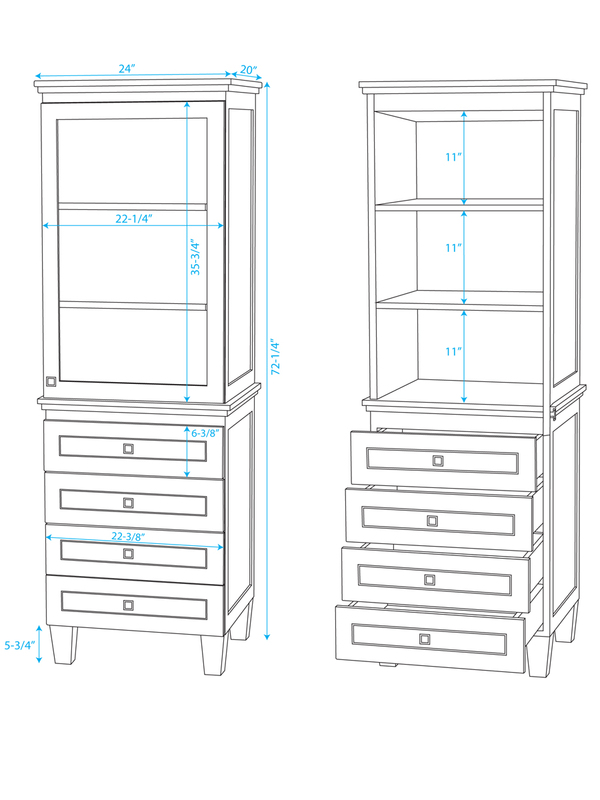 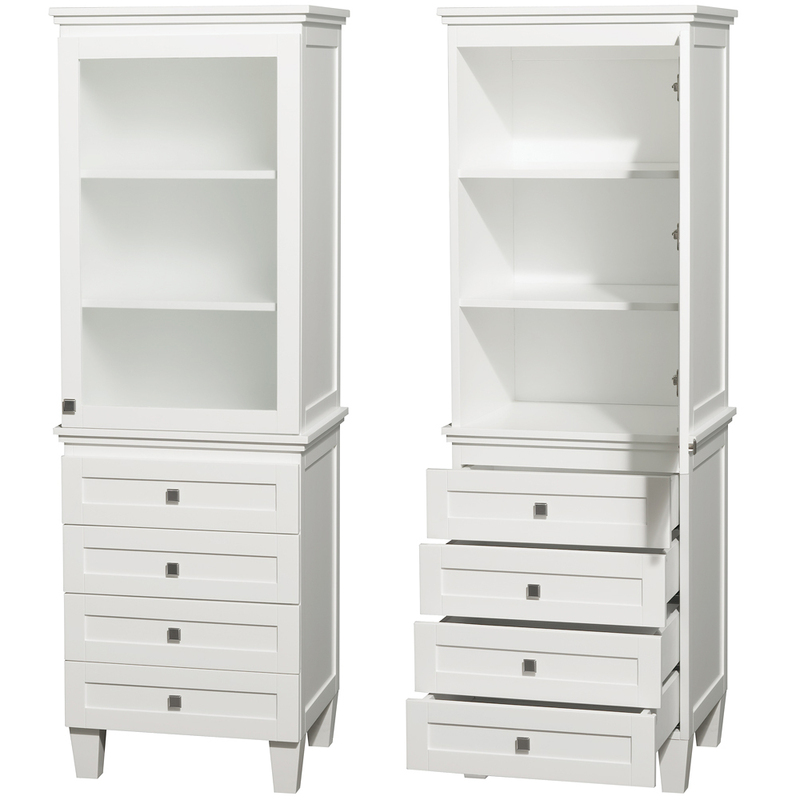 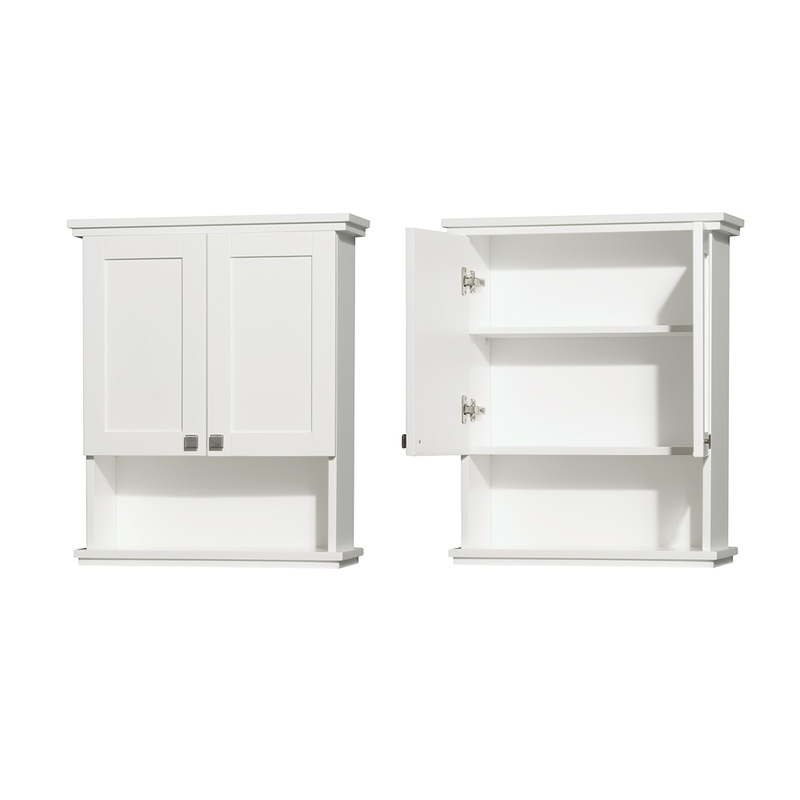 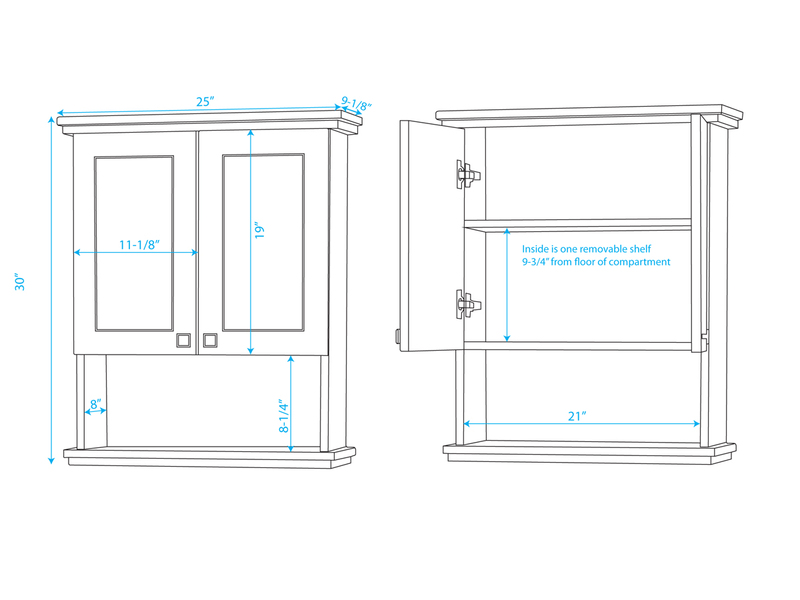 It offers a single-door cabinet and pull-out drawer for storage. 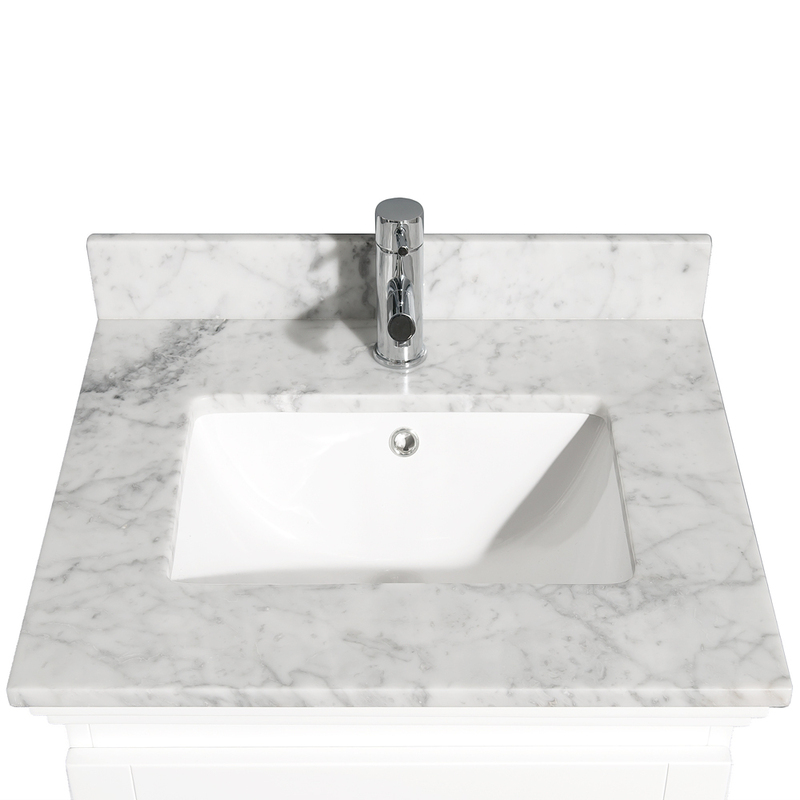 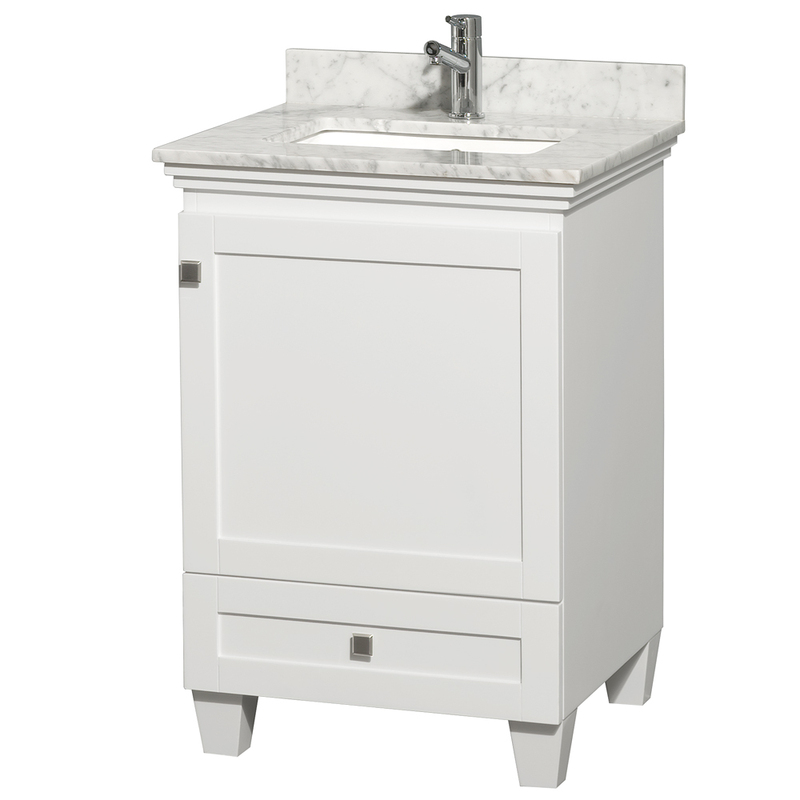 Its top can be made from either Ivory or Carrera White Marble and comes with a rectangular cut white porcelain undermount sink. 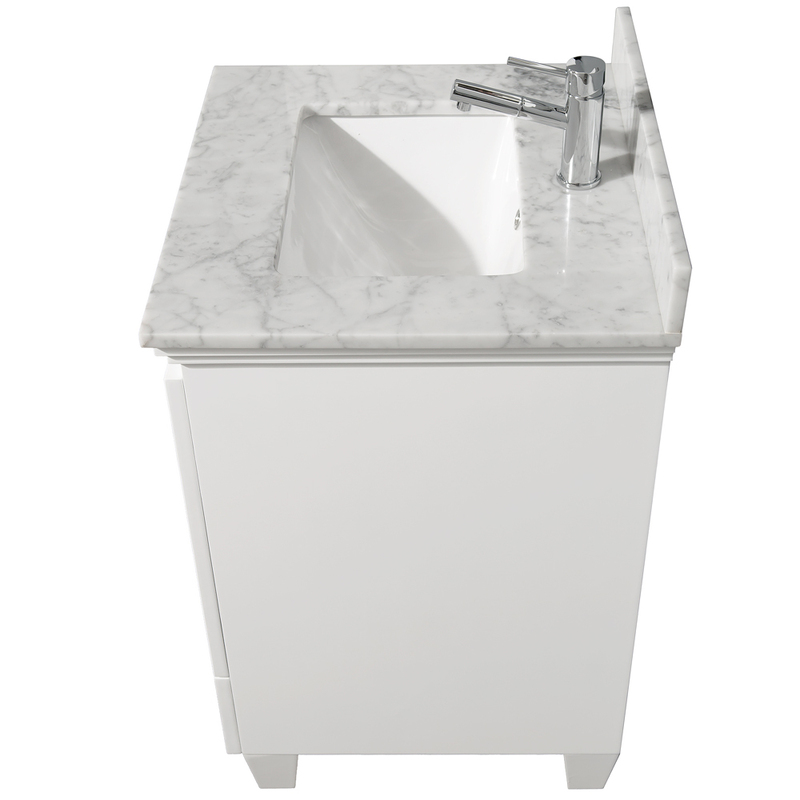 The top also comes pre-drilled with a single faucet hole. A matching mirror comes included with the Acclain, giving it a perfect finishing touch.